Neste trabalho discuto a adequação da versão original do dilema do bonde no que concerne a questão dos potenciais acidentes com veículos autônomos. A principal crítica se refere à impossibilidade de incluir questões relativas aos riscos e incertezas envolvidos em tais acidentes. A seguir, apresento um modelo abstrato que satisfaz os requisitos conceituais da noção padrão de risco, o qual assumirá a forma de um dilema do bonde de natureza probabilística. Mediante a análise de dois exemplos, procuro mostrar que o novo modelo é mais adequado para se avaliar a questão dos riscos impostos por veículos autônomos. Embora não pretenda dar uma solução para o problema colocado, procuro esclarecer como tais veículos pode impor riscos distintos a pedestres e passageiros, uma questão ética não contemplada na versão original do dilema. BONNEFON, J-F.; SHARIFF, A.; RAHWAN, I. The social dilemma of autonomous vehicles. Science, 352 (6293), p. 1573-1576, 2016. BRUERS, S.; BRAEKCMAN, J. A review and systematization of the Trolley Problem. Philosophia, 42, p. 251-269, 2014. DENG, B. The robot’s dilemma. Nature, 523 (7558), p. 24-25, 2015.
https://doi.org/10.2202/1941-6008.1014. Acessado em 30 de agosto de 2018. FOOT, P. The problem of abortion and the doctrine of the double effect. Oxford Review, 5, p. 5-15, 1967. GOODALL, N. J. Machine ethics and automated vehicles. In: G. Meyer and S. Beiker (Eds), Road vehicle automation. Dordrecht: Springer, p. 93-10, 2014. _____. Away from Trolley Problems and towards risk management. Applied Artificial Intelligence, 30 (8), p. 810-821, 2016. HANSSON, S. O. Philosophical perspectives on risk. Techné, 8 (1), p. 10-35, 2004. _____. The epistemology of technological risk. Techné, 9 (2), p. 68-80, 2005. _____. Technology, prosperity and risk. In: J. K. B. Olsen, S. A. Pedersen and V. F. Hendricks (Eds. ), A Companion to the Philosophy of Technology. Oxford: Wiley-Blackwell, 2009. _____. A panorama of the philosophy of risk. In: S. Roeser, R. Hillerbrand, P. Sandin and M. Peterson (Eds. ), Handbook of Risk Theory: Epistemology, Decision Theory, Ethics, and Social Implications of Risk, p. 27-54. Dordrecht: Springer, 2012. _____. The ethics of risk: Ethical analysis in an uncertain world. New York: Palgrave MacMillan, 2013. KOCKELMAN, K. M.; KWEN, Y-J. Driver injury severity: An application of ordered probit models. Accident Analysis & Prevention, 34 (3), p. 313-321, 2002. LEBEN, D. A Rawlsian algorithm for autonomous vehicles. Ethics and Information Technology, 19 (2), p. 107-115, 2017. LIN, P. Why ethics matters for autonomous cars. In: J. Markus et al, Autonomes fahren, p. 69-85. Berlin/Heidelberg: Springer, 2015. MÖLLER, N. The concepts of risk and safety. In: S. Roeser, R. Hillerbrand, P. Sandin and M. Peterson (Eds. ), Handbook of Risk Theory: Epistemology, Decision Theory, Ethics, and Social Implications of Risk, p. 55-85. Dordrecht: Springer, 2012. NYHOLM, S. & SMIDS, J. The ethics of accident-algorithms for selfdriving cars: an applied trolley problem? Ethical Theory and Moral Practice, 19 (5), p. 1275-1289, 2016. O´DONNELL, C. J. & CONNOR, D. H. Predicting severity of motor vehicle accident injuries using models of ordered multiple choice. Accident Analysis & Prevention, 28 (6), p. 739-753, 1996. SHARIFF, A., BONNEFON, J-F., RAHWAN, I. Psychological roadblocks to the adoption of self-driving vehicles. Nature Human Behaviour, 1 (10), p. 694-696, 2017. THOMSON, J. J. Killing, letting die, and the trolley problem. The Monist, 59, p. 204-217, 1976. _____. The trolley problem. The Yale Law Journal, 94 , p. 1395-1415, 1985. _____. Turning the trolley. Philosophy & Public Affairs, 36 (4), p. 359-374, 2008. KINOUCHI, R. Sobre as Limitações do Dilema do Bonde para a Avaliação dos Riscos Impostos por Veículos Autônomos. 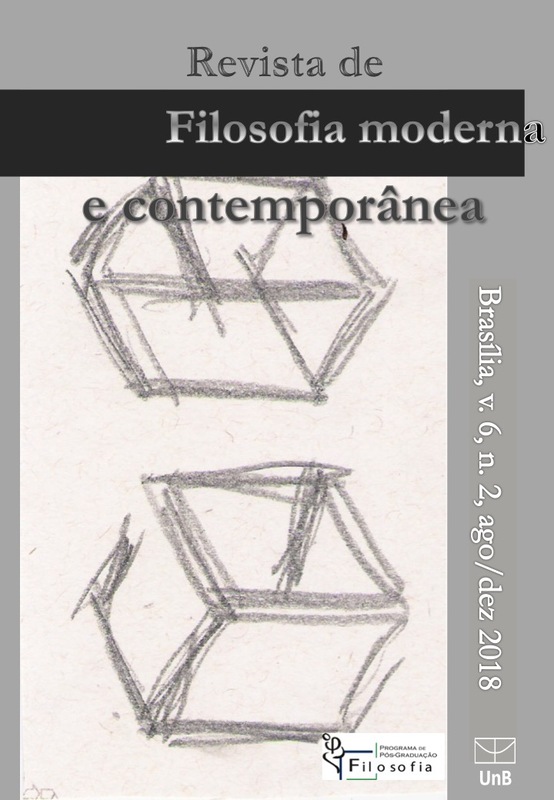 Revista de Filosofia Moderna e Contemporânea, v. 6, n. 2, p. 115-130, 28 dez. 2018.